Are you confused about what do follow and no follow links are? Let's clear it up for you. Part of search engine optimization basic terms that we will come across are words such as: meta tags, no follow, do follow, and so on. As a newbie, you might have heard of these terms but probably not sure what it means. Or probably you're just new to seo and want to get clarity on what these terms really mean. This article is going to be simple and straight to the point on what do follow and no follow links are all about. 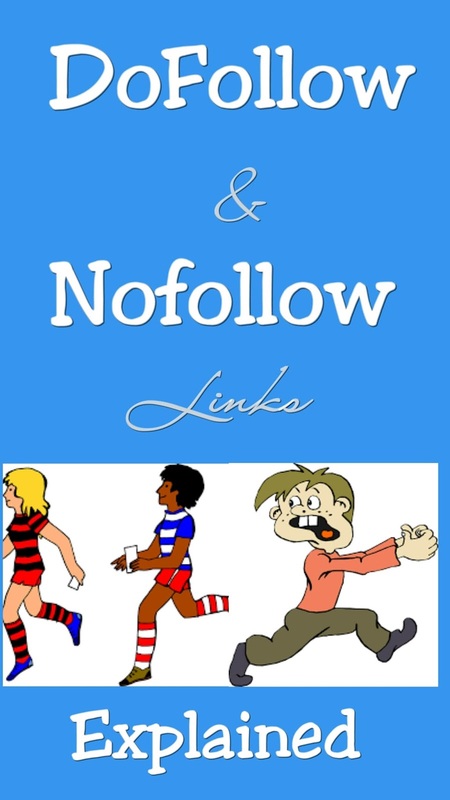 Differences between No follow and Do follow links attributes. These links attributes help prevent search engine (google, Bing and so on) bots from crawling specific hyperlinks on pages. Search engine bots will see such links as a plain text and only humans can link to it. This is to say that if such links are found on your web page, your website would not affect the link's target ranking. There would be an absence of link juice and backlinks for search engine indexing and ranking. There are very lonely links. Pro: Helps avoid linking to spam links in comments, forums or any other site that isn't trustworthy. These links attributes allow all search engine bots to follow hyperlinks on your web pages. This gives the link's target link juice, the more the link juice the higher the ranking. So therefore, if anyone else in your niche links to you with this type of link. It will let both humans and search engine bots to follow such link back to your website. Pros: Large number of do follow backlinks can boost up your website ranking in search results. Do you own a blogger blog? Here is how you can add a do follow and no follow link attribute to your blog post. For good Seo, you need to add internal links that would connect web pages within your website. You can create it by adding anchor texts. Like this: Trusted blog directories to submit your website to. Proper link building with the use of target keywords can help improve websites ranking. Login to your blogger blog account. Start writing your new post. Insert links to old posts on the highlighted relevant keywords text. Add URL, you can the decide to tick or unpick the no-follow link attribute to either do-follow or no-follow link respectively. It is important to try and keep the number of dofollow and nofollow backlinks balance for good link profile. Use both links properly for best seo and online marketing strategy results. Did you find this article helpful? Do you have any questions for me? Then don't hesitate to add your comments below. Yeah, but also try and add Nofollow link attributes in comments sections, forums, external ads links and any google untrusted sites. To prevent your website from being negatively affected and spam free. I didn't understand the purpose of the option so that was good to learn. Thanks. Glad this article was of some help to you Danie. Love how you laid this out! So informative! It's never to late to learn. Glad it helped. Clear explanation. Thanks! I've been looking for something like this. Now you found it! :D , Thank you for stopping by. I didn't really understand where you can really use the no-follow link but it was good information and I am glad to learn something new. When it comes to Seo, proper balance of dofollow and nofollow links is valuable. I have just started blogging, so this post was very informative thank you! That's great! Contact me if you have any questions. You're most welcome Tiara Johnson.